The transfer window for Europe's biggest clubs closed on Thursday (find out league-by-league deadlines here.) 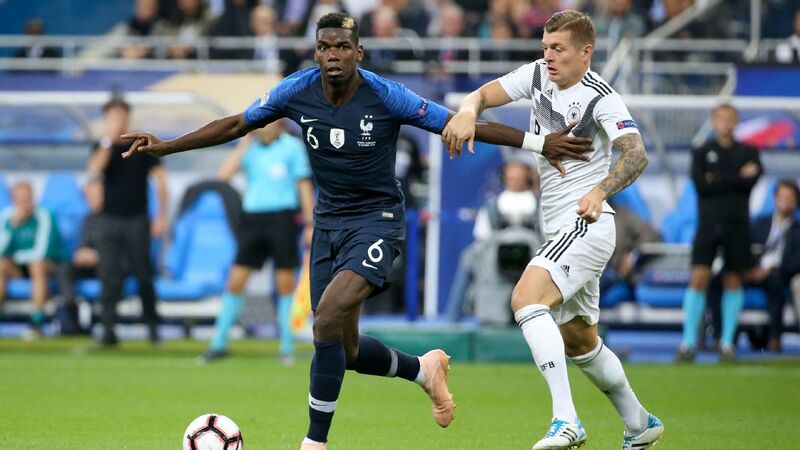 Transfer Talk has been scouring the world's media and setting correspondents loose to see who could be heading to or from your club. Click here for the latest deals and keep a track of who has joined the big boys. Arsenal can only sign players on loan but the BBC report that they have missed out on a pair of wingers on deadline day, as Inter Milan would only sell Ivan Perisic on a permanent deal while Chinese club Dalian Yifang did not accept their loan fee for Yannick Carrasco. They have completed the signing of Barcelona midfielder Denis Suarez on loan until the end of the season and a move for PSG's Christopher Nkunku is still on the cards but "looks unlikely." Nkunku, 21, has played 15 times for PSG this season but isn't nailing down a first-team spot and wants to move on. Matt Spiro reports that "the two clubs are worlds apart on valuation of buy option. PSG want significantly more than the €20m offered by Gunners." The real question on Arsenal fans' lips is: where are the defenders? OK they've got a few injured, but surely strengthening the defence should be the No. 1 priority. 00.31 GMT: That's it, Transfer Talk Live on this Deadline Day is over! Thanks very much for joining us, and even though we're still six months from the transfer window reopening, we'll be back before you know it with the latest gossip regarding who will move where this summer. 00.24 GMT -- DONE DEAL: Crystal Palace have finalised the loan capture of Chelsea forward Michy Batshuayi through the end of the season. 00.23 GMT -- DONE DEAL: Fulham have confirmed the signing of Lazar Markovic on a free transfer from Liverpool on a deal that runs through the end of the season. 00.05 GMT: We lied, we'll give you one last tidbit on Fulham, because it's just too good not to share: Sky Sports has now reported that it's not Sabaly that the Cottagers have submitted a deal sheet for, it's ... wait for it ... Liverpool's Lazar Markovic. 00.02 GMT: While Sky Sports has reported that Youssouf Sabaly is the player Fulham have submitted a deal sheet to the Premier League for, the Sun's Neil Ashton has speculated to NBC Sports that the player could actually be Chelsea centre-back Gary Cahill. Unfortunately, we are running out of time, so it seems we won't be able to solve this mystery. 23.59 GMT -- DONE DEAL: Derby County have announced the signing of Andy King from Leicester City, with the midfielder joining the Championship side on loan for the remainder of the season. 23.54 GMT -- DONE DEAL: Ganso, the man who threatened to dominate world football alongside a young Neymar at Santos, has left Sevilla and signed a five-year contract at Brazilian club Fluminense. 23.48 GMT -- DONE DEAL: American defenders Andrew Gutman and Manny Perez have signed 3-and-a-half year contracts with Celtic. Read the full story. 23.43 GMT -- DONE DEAL: After spending the first half of the season on loan at Aston Villa, Yannick Bolasie will spend the second half of the term at Belgian side Anderlecht, Everton have announced. 23.36 GMT: And that update from Alison Bender does seem to be the case, with Sky Sports now reporting that Fulham have a deal sheet into the Premier League and have conducted a medical with Bordeaux right-back Youssouf Sabaly, a 25-year-old Senegal international. 23.32 GMT: Our Alison Bender is reporting that Fulham are attempting to finalise another deal. Could they be the second club with a deal sheet submitted to the Premier League? 23.27 GMT: BBC journalist David Ornstein is reporting that a deal sheet is with the Premier League for Michy Batshuayi's loan to Crystal Palace, giving the South London club and Chelsea another two hours to complete that deal. 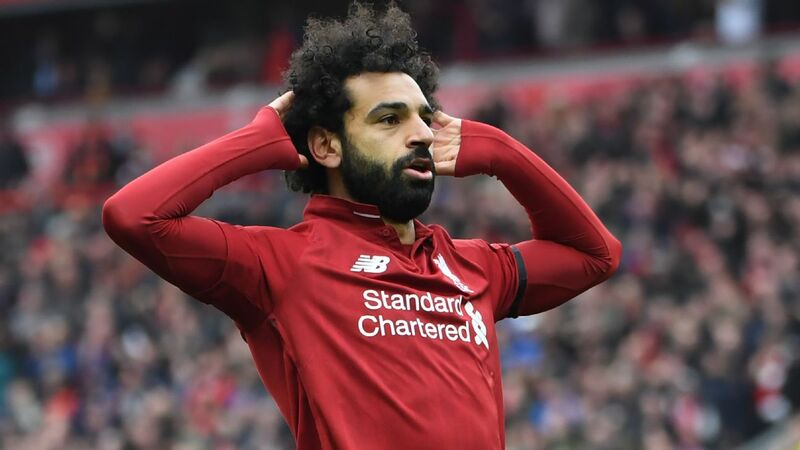 Sky Sports is also reporting that the Premier League is in possession of a second deal sheet, so there is still another mystery move out there. As we get more on that, we'll bring it to you. 23.14 GMT -- DONE DEAL: AC Milan have announced that former Barcelona starlet Alen Halilovic has joined Belgian side Standard Liege on loan with an option to buy. 23.03 GMT -- DONE DEAL: Celtic have signed Borussia Dortmund right-back and Germany U21 international Jeremy Toljan on loan for the remainder of the season. 23.00 GMT: That's it, everyone! The January transfer window is closed! You don't have to go home, but you can't stay here. We kid, of course. We'll be here for another hour, bringing you all the deals that passed through the fax machines in the window's dying moments. 22.50 GMT -- DONE DEAL: Fulham have confirmed the capture of defensive midfielder/centre-back Havard Nordtveit on a six-month loan from Hoffenheim. 22.39 GMT -- DONE DEAL: Borussia Dortmund midfielder Shinji Kagawa has joined Turkey's Besiktas on loan until the end of the season, the Bundesliga leaders said on Thursday. Read the full story. 22.26 GMT: Sporting Kansas City are working to bring in often-injured Arsenal midfielder and former U.S. youth international Gedion Zelalem, according to the Washington Post's Steven Goff, who adds that no deal is imminent. 22.15 GMT: Transfer guru Gianluca Di Marzio reports that the reason for Luciano Acosta's deal to PSG falling apart is a disagreement over the fee. The Parisians are said to have offered &dollar11.5m while D.C. United insisted on $13m. Still time for either club to change their mind before this one is truly dead and buried. 22.02 GMT: Here we go! Kaveh Solhekol of Sky Sports is reporting that Crystal Palace have agreed personal terms with Michy Batshuayi. There have been conflicting reports in the past few minutes over whether this is a loan deal or a permanent transfer, but it's looking as though this will be a loan. Batshuayi is in Valencia, where his loan there has been terminated, and his end of the paperwork will go through Spain -- less than an hour now to get the deal completed. 22.00 GMT: We're just an hour away from the close of the January transfer window, ladies and gentlemen. Let's enjoy this final 60 minutes together, before we all panic over whether or not the faxes have gone through in time. 21.49 GMT: Our Jonathan Johnson is relaying news out of France, where it's being reported that Paris Saint-Germain have killed the deal to bring in Luciano Acosta from D.C. United. The 24-year-old Argentine left the MLS side's preseason training camp and flew to the French capital last night to undergo a medical today, but it seems his big-money move is over. 21.36 GMT: According to reporting from Sky Sports' Deadline Day programming, Paris Saint-Germain have increased their offer for Idrissa Gueye to €30m, though the added cash has done little to change minds at Everton, who maintain their midfielder is not for sale. 21.25 GMT -- DONE DEAL: Former Portland Timbers captain Liam Ridgewell has signed with Championship side Hull City on a contract through the end of the season. 21.12 GMT -- DONE DEAL: Barcelona had already concluded a deal for Toulouse midfielder Jean-Clair Todibo that would see the 19-year-old join in the summer, but the Catalan club has now confirmed they've accelerated that timeline, and the France U20 international will move to the Spanish champions immediately. Read the full story. 21.01 GMT: Michy Batshuayi is trying to persuade Chelsea to let him join Tottenham on loan until the end of the season, sources have told ESPN FC. Chelsea have no interest in helping their bitter London rivals, but will consider permanent offers matching their £35m valuation of the Belgium international. 20.48 GMT: Having sold Victor Vazquez and Sebastian Giovinco, Toronto FC are in need of some playmaking and finishing, and U.S. journalist Ives Galarcep is reporting that the 2017 MLS Cup champions have identified Spartak Moscow's Sofiane Hanni, an Algerian international. 20.37 GMT: The Washington Post is reporting that the deal that would see D.C. United playmaker Luciano Acosta join Paris Saint-Germain is "complicated," and may not get done before this evening's deadline. 20.24 GMT: Arsenal have had enough of Mesut Ozil and are ready to cash in on the playmaker, according to the Sun, but the report states that rather than scramble to find a suitable destination for the 30-year-old -- amid reported interest from PSG -- the Gunners will instead wait to sell him this summer. 20.13 GMT -- DONE DEAL: Leicester City and Monaco have wrapped up their swap deal that sees Portugal international Adrien Silva leave the King Power for the Principality, with 21-year-old prized prospect Youri Tielemans moving in the opposite direction, both on loans until the end of the season. 🖊🇵🇹 L'AS Monaco est heureux d'annoncer l'arrivée du milieu de terrain portugais de Leicester Adrien Silva, en prêt jusqu'à la fin de la saison. 20.00 GMT: -- DONE DEAL: Man United have made a minor move, loaning goalkeeper Joel Pereira to Belgian top-flight outfit KV Kortrijk for the rest of the 2018-19 season. The 22-year-old has made three first-team starts for Man United at this stage of his career and recently returned from spending the first half of the season on loan in his native Portugal with Vitoria Setubal. 19.50 GMT: Bojan, remember him? Well West Brom reportedly want the former Barcelona phenom and current Stoke man. Bad news for Baggies fans though, as Stoke-on-Trent-Live report that Stoke have turned down a bid for the well-travelled Spaniard. Recently linked with a move to Major League Soccer in the United States, it will interested to see where Bojan ends up, as the 28-year-old is not playing much at the moment with the Potters. 19.40 GMT: -- DONE DEAL(s): Brighton have completed a pair of signings on deadline day. First, the club announced they signed Romania international defensive midfielder Tudor-Cristian Baluta from Viitorul Constanța. Shortly after, the Gulls unveiled Slovenian striker Jan Mlakar, a 20-year-old Slovenian who has had a big season at Maribor. For more on the two players click here: Baluta. Mlakar. 19.30 GMT: -- DONE DEAL: It looks like 'C'mon Wilfried Bony, score some goals for Swansea' will have to be retired. Swansea have loaned out the Ivorian striker and fan favourite to Qatari side Al-Arabi, likely bringing his time at the club to an end. Now 30, Bony bagged 34 goals in 70 games during his first spell at the Liberty Stadium, becoming a cult figure and earning a shock move to Manchester City. Bony returned to Swansea to a hero's welcome in 2017 but injuries -- namely an ACL tear -- and age have limited his effectiveness. 19.20 GMT: Aston Villa to make a late shock move? The Sun, via the Birmingham Mail indicates that Villa have joined the race for Swansea attacker Leroy Fer. The 29-year-old Dutchman had looked set for a move to Lille in France but the report claims Villa have swooped in and topped Lille's offer. Just four points out of the Championship playoff places, Dean Smith is desperate to get a few late signings through the door at Villa Park. 19.06 GMT: -- DONE DEAL -- With Peter Crouch headed to Burnley, Burnley's Sam Vokes heads to Stoke on a three-and-a-half-year deal. Vokes, 29, had just three goals this campaign for the Clarets but had 20 goals in 2013-14 and 15 in 2015-16 while playing in the Championship. Speaking to the club's website, Stoke manager Nathan Jones said "Sam is a player of real pedigree, he has been promoted from this level and he's an experienced international and Premier League player. 19.00 GMT: -- DONE DEAL -- The deals are flying in at the moment as Burnley have officially announced the signing of Peter Crouch from Stoke. 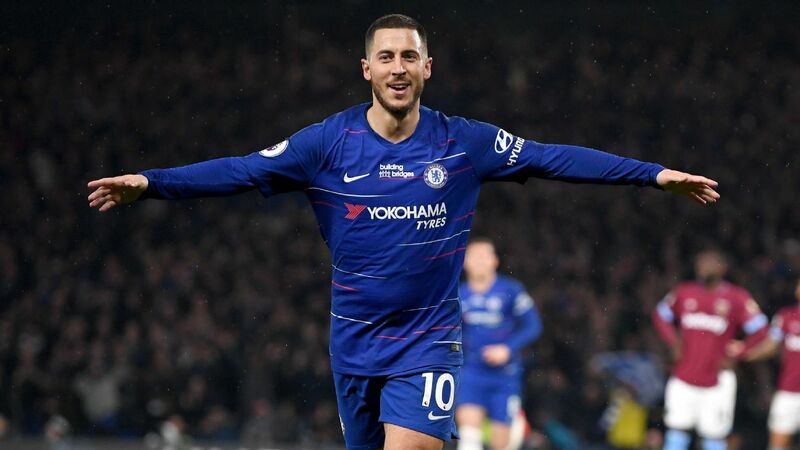 The just-turned 38-year-old has scored 108 goals in the English top flight and remains a weapon due to his height and ability to get on the end of crosses. Also, bonus points to Burnley on their player unveil tweet, as they pay homage to Crouch's infamous robot celebration. Well done Clarets! Barcelona, have come out of nowhere to announce they have signed Brazilian youngster Emerson from Atletico Mineiro. The right-back will cost Barcelona €12 million and he will join the club in the summer, after spending the second half of the season with La Liga's Real Betis on loan. Barcelona struck gold last year in signing Arthur from Gremio and will hope to have unearthed another diamond in the form of Emerson. 18.43 GMT: -- DONE DEAL: Brendan Rodgers said he expected a few more signings for Celtic and here is the first one on deadline day. The Glasgow-based club have inked Maryan Shved on a four-and-a-half-year contract from Ukrainian side Karpaty Lviv. The 21-year-old is the first Ukrainian to ever sign for Celtic and he will rejoin Karpaty Lviv for the remainder of their season which concludes in April. Arsenal's Emile Smith Rowe is heading to RB Leipzig on loan through the end of the season. The 18-year-old has impressed in limited opportunities this season with Arsenal, bagging three goals over six games in the Europa League and Carabao Cup. 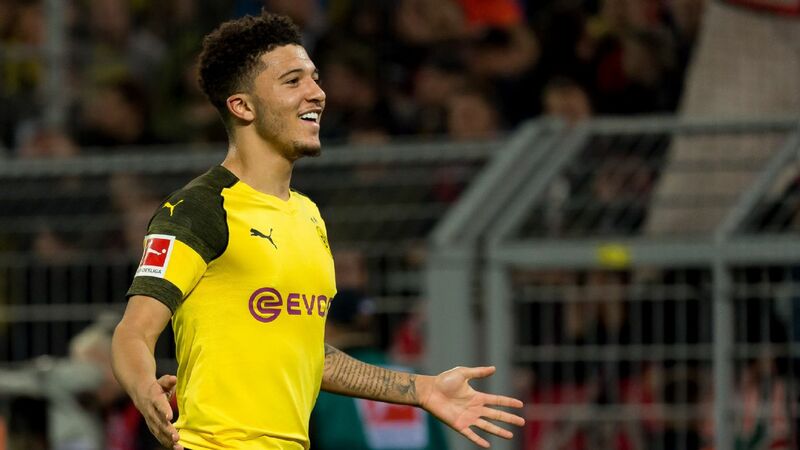 Smith Rowe joins Jadon Sancho, Reece Oxford and fellow Arsenal man Reiss Nelson as English youngsters currently in Germany and joins a Leipzig side that has a track record of providing playing opportunities to youngsters. 18.25 GMT: According to a report in the Birmingham Mail, West Brom are confident of securing a loan move for Fulham and Norway midfielder Stefan Johansen. The 28-year-old Johansen has played sparingly since the arrival of Claudio Ranieri and would seem to a be a player Fulham would be willing to let go of. 18.14 GMT: -- DONE DEAL: We mentioned earlier in the blog that this move was close but now it is official. West Ham youngster Reece Oxford is headed to Augsburg on loan for the remainder of the season. The 20-year-old became West Ham's youngest ever debutant at 16 back in 2015 but has only played once this season for the Hammers. An England Under-20 international, Oxford previously spent time in Germany on loan with Borussia Monchengladbach in 2017 and then again in 2018. The 22-year-old becomes Vancouver's 10th acquisition of the season and joins the 'Caps as a "Young Designated Player". Hwang has 12 caps for South Korea and played a key role in South Korea winning the gold medal at the 2018 Asian Games last September. 17.45 GMT: -- DONE DEAL: There's a Liverpool youngster headed to Scotland but he will NOT be joining up with former Red Steven Gerrard and Rangers. Liam Miller, the Reds' top Academy scorer last season with 19 goals, has signed a new long-term contract with the Merseyside club and will be immediately loaned out to Kilmarnock. The 19-year-old is a full Canada international, having appeared four times for the nation of his birth. 17.37 GMT: -- DONE DEAL: Frankfurt have been busy today. The German club snagged Martin Hinteregger on loan earlier in the day and now have announced they have signed defender Almamy Toure from Monaco on a four-and-a-half-year contract. Die Adler look to be really beefing up their defence with their eyes on grabbing a surprise Champions League place while the exodus at Monaco continues. Cardiff will be disappointed here, as rumour had it they were keen on adding the Mali-born defender. Highly-touted Belgian youngster Youri Tielemans has been spotted at the King Power Stadium, ahead of a rumoured move to the club from Monaco. Tielemans, 21, is viewed as one of the crown jewels of Belgium's next generation and would arrive in a temporary swap deal, with Leicester midfielder Adrien Silva going the other way. 17.18 GMT: -- DONE DEAL: Nottingham Forest have announced they have acquired out-of-favour Wolves striker Leo Bonatini on loan until the end of the season. 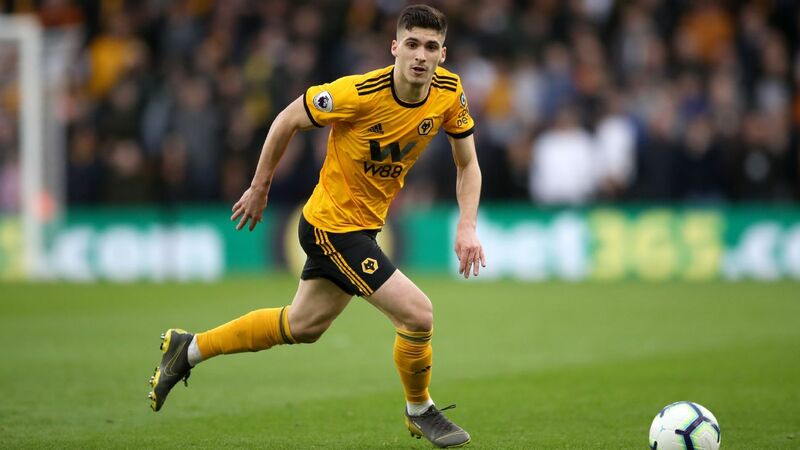 The Brazilian was a key player in Wolves' promotion campaign of 2017-18 with 12 goals but has seen his playing time decrease with the arrival of Raul Jimenez, and has scored just once in nine appearances this season. Nottingham Forest, recently taken over by Martin O'Neill, are still in position to fight for playoff position and Bonatini has proven he can score goals at the Championship level. 17.11 GMT: -- DONE DEAL: Just weeks after heavy speculation that Scott Brown was set for a move to Australia and the A-League, the Celtic captain has re-upped with the Hoops on a two-year extension. A beloved player on the green side of Glasgow, Brown has been with Celtic since 2007 and has won eight league titles, four Scottish Cups and five League Cups with the Bhoys. 17.06 GMT: -- DONE DEAL: Cardiff have made a signing, the Welsh club announcing they have signed 27-year-old midfielder Leandro Bacuna from Reading on a three-and-a-half-year deal. Bacuna, best known for his time with Aston Villa, will cost Cardiff £3 million according to Sky Sports News. Cardiff might not be done either, as the club are still expected to bring in a striker before the deadline ends. 16.57 GMT: -- DONE DEAL: MLS continues to be the centre of the transfer window... who would have guessed that? LAFC have announced they have signed El Salvador star Rodolfo "Fito" Zelaya from Alianza. Zelaya, now 30, was embroiled in a match-fixing scandal back in 2013, but is the second all-time leading scorer for El Salvador with 21 goals in 45 matches. 16.46 GMT: -- DONE DEAL: The American takeover of the Bundesliga continues! Bayern Munich have inked their second American youngster in the last week, the six-time reigning Bundesliga champions signing Taylor Booth from Real Salt Lake's Academy. The 17-year-old central midfielder signs on a three-and-a-half-year deal and will join Chris Richards with Bayern's Under-19s. "I'm very happy with this next step in my career," said Booth. "FC Bayern is one of the largest clubs in the world. Being here in Munich at the FC Bayern campus and taking the next steps in my development makes me very proud. " 16.35 GMT: Staying in London, sources tell ESPN FC's Chelsea correspondent Liam Twomey that despite being on the fringes of Maurizio Sarri's first-team plans, Davide Zappacosta will be staying at Chelsea until at least the end of the season. Italian side Lazio were interested but could not find a workable framework for a loan deal with an option or obligation to buy. 16.24 GMT: -- DONE DEAL: Fulham have loaned forward Aboubakar Kamara to Turkish Super Lig side Yeni Malatyaspor for the rest of the season. Kamara has made plenty of news this month, first stealing a penalty from Fulham star Aleksandar Mitrovic and subsequently missing on New Year's Day, later getting into a separate altercation with Mitrovic at training and then causing harm to a staff member in yet another physical altercation. 16.10 GMT: Sources have told ESPN FC that Willian is training with the Chelsea squad as normal despite reports of deadline day interest from Paris Saint-Germain. The Brazil international has said he sees his immediate future at Stamford Bridge, and there is nothing to suggest the Blues would consider selling him this late in the window. 16.05 GMT: Sky Sports reports that Everton winger Yannick Bolasie is in talks with Belgian side Anderlecht and could soon complete a move. 16.00 GMT: Liverpool are in talks with Extremadura about sending Pedro Chirivella on loan to the Spanish second division side until the end of the season, sources have told ESPN FC. 15.55 GMT: Everton defender Cuco Martina will be recalled from his loan at Championship side Stoke after falling out of the first-team picture and will make another loan move to Feyenoord immediately after that, according to the Liverpool Echo. 15.45 GMT: Former Watford midfielder Mario Suarez is set to join Rayo Vallecano until the end of the season after ending his contract with Guizhou Hengfeng Zhicheng, sources have told ESPN FC. 15.35 GMT -- DONE DEAL: Ligue 1 strugglers Monaco have brought in Spurs winger Georges-Kevin N'Koudou on loan for the remainder of the season. 🇲🇨 @gknkoudou has joined @AS_Monaco on loan until the end of the season. 15.15 GMT: Eliaquim Mangala will see out the final six months of his Manchester City contract after there was no serious interest in the defender during the transfer deadline day, sources have told ESPN FC. 15.00 GMT: Let's face it, Fulham could do with a bit more defensive strength -- and perhaps Cameroon centre-half/defensive midfielder Michael Ngadeu-Ngadjui is the man to provide it. Reports say the Slavia Prague player is in negotiations over a move to London, while Fulham have also been linked with Hoffenheim defensive midfielder Havard Nordtveit. 14.50 GMT - DONE DEAL: Newcastle United have confirmed the signing of Atlanta United forward Miguel Almiron for a record amount. 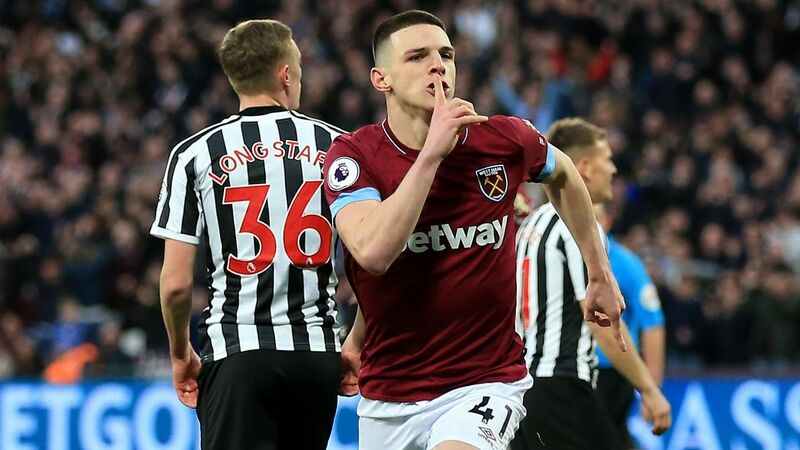 Almiron, 24, has signed for around £20 million ($26m) in a move that surpasses the £16m Newcastle paid for Michael Owen in 2005. The signing is also the highest amount for a Major League Club in history. 14.45 GMT: Arsenal manager Unai Emery has said midfielder Denis Suarez will give the team plenty of flexibility after his arrival on loan from Barcelona on Thursday. "We are very happy that Denis Suarez is joining us. He is a player we know well and I have worked with him at Sevilla," Emery said. "He brings us quality and options in different attacking positions, so he'll be able to help the team." 14.25 GMT - DONE DEAL: Aston Villa have signed defender Tyrone Mings on loan from Bournemouth for the remainder of the season. 14.10 GMT - DONE DEAL: Austria international Martin Hinteregger has joined Frankfurt on loan from Augsburg for rest of the season. Hinteregger was made an outcast at his old club after not holding back his opinion on the club's recent form and development under coach Manuel Baum. "I can absolutely not say anything positive," he said about his old coach as he closed the door on his time at Augsburg following a 2-0 defeat to Gladbach at the weekend. 13.58 GMT: D.C. United's Luciano Acosta is Paris Saint-Germain bound, a source has confirmed to ESPN FC, after coach Thomas Tuchel demanded attacking reinforcement to cover Neymar's absence. Brazil international Neymar is ruled out for over two months with a second injury to the fifth metatarsal in his right foot in as many years. According to the source, utilising good relations with recent signing Leandro Paredes' agent Mattias Sabbag, PSG have quickly been able to agree the move in principle with the Major League Soccer side with an offer of less than €10 million, and meet the player's personal terms as well. 13.50 GMT: Manchester City have completed the signing of Hajduk Split midfielder Ante Palaversa for around £5.5 million. Croatia Under-19 captain Palaversa will return to Hajduk for the rest of the season on loan as part of the deal. 13.45 GMT: Arsenal winger Emile Smith Rowe is pictured on his way to a medical at RB Leipzig, who are reported to be confident that they will get a loan deal over the line before the 5 p.m. deadline in Germany. 13.35 GMT: Manchester United forward Anthony Martial, linked with a move away from the club earlier in the season, has signed a new five-year contract that will keep him at Old Trafford until 2024. 13.30 GMT: Watford midfielder Abdoulaye Doucoure had been reported to be a potential deadline day signing for Chelsea -- but sources have told ESPN FC he will not be leaving the Hornets before the summer. 13.20 GMT: Nice forward Allan Saint-Maximin's agent has said AC Milan have left a bid for the 21-year-old too late for them to be able to wrap up the deal in this window. 13.15 GMT -- DONE DEAL: It's been a good week for Newcastle -- first they beat Manchester City, and now they have added to their squad by signing defender Antonio Barreca or the rest of the season on loan from Monaco, with a summer option to buy. 13.10 GMT: Michy Batshuayi faces a choice between joining West Ham or Real Betis on loan, with Everton unlikely to match Chelsea's £35 million asking price, sources have told ESPN FC. 13.05 GMT: West Ham have agreed to loan defender Reece Oxford to German club Augsburg for the rest of the season, according to Sky Sports. 12.55 GMT: League One side Blackpool, in contention for the playoffs, hope to complete a permanent deal for Liverpool under-23 midfielder Matty Virtue, sources have told ESPN FC. 12.40 GMT: And staying with matters United, sources have told ESPN FC that the club do not expect to sign anybody today. Caretaker manager Ole Gunnar Solskjaer is happy with the squad and, despite the impending departure of Marouane Fellaini, with his options in midfield. 12.30 GMT: The Manchester Evening News reports that Manchester United defender Ashley Young is close to agreeing a new one-year deal at Old Trafford. 12.25 GMT: Schalke have approached Tottenham about the possibility of signing Vincent Janssen on loan, sources have told ESPN FC. 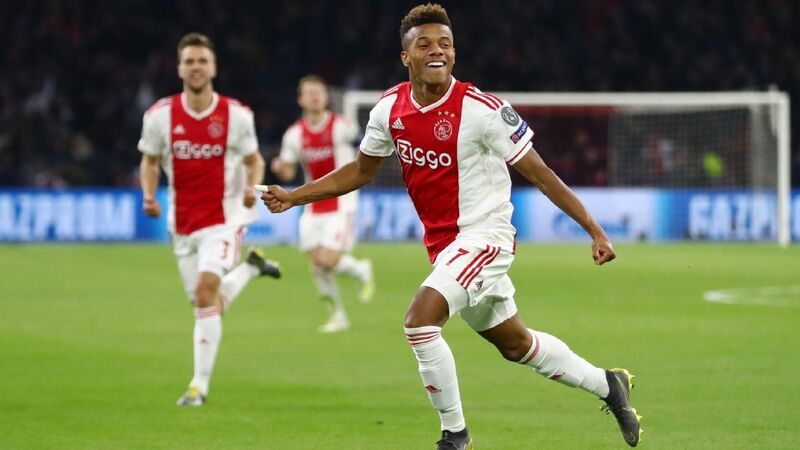 Spurs had been hoping to sell the Dutch striker for around £15 million but, with time running out until Thursday's deadline, player and club may have to settle for a temporary move. 12.15 GMT: Bournemouth defender Tyrone Mings will join Championship side Aston Villa until the end of the season, with a clause in the agreement that enables them "to meet any rival offers" for a full-time switch in the summer, the Mirror reports. 12.05 GMT -- DONE DEAL: Arsenal have confirmed the signing of Barcelona midfielder Denis Suarez on loan until the end of the season, and will have an option to make the deal permanent in the summer. 12.01 GMT: Michy Batshuayi has a choice to make it seems ... Chelsea have agreed terms with West Ham and Real Betis over loan deal and have now left the decision up to the striker himself. The Guardian reckon he might be waiting for a late bid from Everton, but the clock is ticking. 11.57 GMT: Real Betis president Angel Haro has told Onda Cero's El Transistor: "We have an option (€25m) on [PSG loanee] Giovani Lo Celso and we will exercise it -- that is absolutely certain." 11.48 GMT: Sources have told ESPN FC that the likelihood of Diego Costa leaving Atletico Madrid for China in the coming weeks has been lessened with Jonny's permanent move to Wolves. Atletico's loan signing of another centre-forward in Alvaro Morata had seen them in danger of breaking La Liga's strict budget rules, however that should not be an issue now with Wolves paying a reported €20m to sign Spain international defender Jonny, plus the loan exit of Gelson Martins to Monaco earlier this month. Spanish media reports late last year claimed that Costa, 30, was the subject of a €65m bid from an unnamed club ahead of the start of the 2019 Chinese Super League season. Sources close to the player have told ESPN FC that there was "nothing for now" in the speculation. 11.42 GMT: Sardar "Iranian Messi" Azmoun was being linked with a move from Rubin Kazan to Wolves. But Sky report that deal is no more. Reporter Rob Dorsett tweeted: "Sardar Azmoun deal to #wwfc is dead. Rubin Kazan and Wolves agreed £1.75m loan fee AND a £11.5m transfer fee.. But Kazan want it as an OBLIGATION to buy in the summer, Wolves will only agree to OPTION to buy. Player is still in Russia, so Wolves had no chance to do full medical." 11.32 GMT: The Ornstein-Arsenal Express is back. And he's got MORE bad news for the Gunners faithful. Ivan Perisic won't be arriving. He has tweeted: "Perisic to Arsenal off - #Inter ended all player talks yesterday, #AFC attempts to structure loan + option (+ penalty fee if option not taken) of no interest. Nkunku efforts ongoing but now very unlikely #PSG. Suarez announcement soon. Smith Rowe #RBLeipzig loan, no option to buy." 11.27 GMT: Sources have told ESPN that it's "very unlikely" Matteo Darmian will leave Manchester United today. Juventus are interested but United haven't had an acceptable offer and even though Darmian wants to head back to Italy, it looks like he will stay until the summer. Sources close to Timothy Fosu-Mensah's camp are also saying the Dutchman will probably stay on loan at Fulham. He's not in Claudio Ranieri's plans but without another acceptable offer on the table, it's most likely that he will stay where he is. 11.19 GMT: DONE DEAL Nico Yennaris, once of Arsenal, has joined Chinese Super League side Beijing Guoan from Brentford. 10.58 GMT: Gael Kakuta (remember him?) is in France as Amiens move to bring him back to the club from Rayo Vallecano. Kakuta impressed with the Ligue 1 side last season, and helped them avoid the drop in their maiden top-flight campaign. Hopefully he doesn't cause them as many transfer problems as he did Chelsea. 10.45 GMT: Manchester United are set to make a deadline day move. But it's for a 16-year-old called Hannibal Mejbri from Monaco. RMC report that the club have been in talks with the France U16 midfielder for a while. 10.39 GMT: In 'young English players moving to Germany news' which seems to be a daily dose these days, sources have told ESPN FC that Arsenal forward Eddie Nketiah is set to join Bundesliga side Augsburg on loan. 10.34 GMT: Peter Crouch is coming back to the Premier League at the tender age of 38! John Percy of the Daily Telegraph reports Crouch "is on his way for a medical at #Burnley. Sam Vokes to Stoke is also close to completion for around £7m." 10.27 GMT: DAVID ORNSTEIN HAS SPOKEN! But it's not good news for Arsenal fans. He tweets: "Carrasco to Arsenal off. Player part fine but loan fee offer far too low to suggest recent interest was as serious as it seemed early Jan. Better offer from another club (reportedly AC Milan) & Dalian Yifang were offered replacement but reluctant so set to stay in China #AFC #ACM." 10.16 GMT: Further down the page we brought you news that West Ham target Maxi Gomez is set to continue at Celta Vigo until the end of the season, but sources have told ESPN that he is also unlikely to move to the Hammers in the summer despite other reports suggesting otherwise. Other clubs including Barcelona are monitoring his situation. 10.11 GMT: DONE DEAL: Pele has joined Nottingham Forest. OK, not THAT Pele. Judilson Mamadu Tuncara Gomes has signed on loan from Monaco. Not quite sure why he's called Pele though. 10.06 GMT: DONE DEAL - HEREEEEEEEEEEEEEEEEEE'S JONNY. Wolves have signed Jonny Otto for a reported club record of £18m. The Spaniard has agreed a permanent deal at Molineux until 2023, having spent the first half to season on loan from Atletico Madrid. 09.59 GMT: Memphis Depay has urged Lyon fans to get their "facts straight" and claimed quotes that he wanted to join a team "that really wants to play football" had been taken out of context. 09.54 GMT: Paris Saint-Germain are considering a €5.5m offer from Bordeaux for highly promising midfielder Yacine Adli, L'Equipe reports. The 18-year-old recently signed a contract through to 2021, and had been expected to make the step up into the first team, but has yet to do so. PSG would obtain 40 percent of any future sale of the teenager, the paper claims, while Arsenal will be a bit annoyed given he snubbed a move to London to stay in Paris this summer. 09.48 GMT: Sevilla have turned down an offer from Corinthians for their left-back Guilherme Arana. The 21-year-old, who joined Sevilla from Corinthians a year ago, has made eight league appearances for the Andalusian club this season. "We knew it was going to be a difficult negotiation because he is a young player in Europe," Corinthians football director Duilio Monteiro Alves told Lance. "Corinthians made a high offer. But the deal will only be done if Sevilla reconsider our offer." 09.41 GMT: Marouane Fellaini is expected to complete his move to Shandong Luneng but confirmation doesn't necessarily have to be today because the Chinese Super League deadline is not until February. 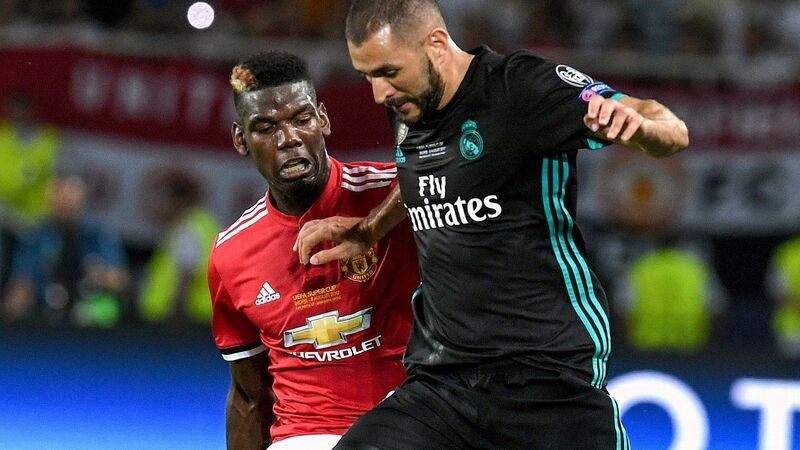 Sources said that United will receive a fee in the region of €12m and the Belgian is set to sign a three-year deal worth around €14m a year after tax. 09.36 GMT: After Shinji Kagawa's loan to Monaco from Dortmund collapsed, Turkish club Besiktas are set to offer the Japan international a way out of the Westfalenstadion, kicker reports. 09.14 GMT: Poland youngster David Kownacki, 21, is set to sign for Fortuna Dusseldorf from Sampdoria. An initial loan could be followed by a permanent deal worth around €5m, say kicker. 09.07 GMT: Jordi Alba has denied media reports that he has agreed a new contract with Barcelona. Moreover, Cadena Ser reported on Wednesday that the experienced left-back had agreed to extend his contract until June 2024, but the player speaking after Barca's 6-1 win over Sevilla in Thursday's Copa del Rey return leg said as reported in Diario AS: "Regarding the contract extension, there hasn't been any change. They even said that I had renewed my contract but it's not true what is being reported." 08.57 GMT: PSG could be busy today. As well as the Willian gossip above, the Washington Post report that DC United's Luciano Acosta has left the club's training camp and could be set to join the club (or a Premier League club) with an €8.5m offer mentioned. 08.46 GMT: With time running out for Valencia to reach a deal to acquire West Ham striker Javier 'Chicharito' Hernandez, Los Che are looking at alternatives to strengthen their attack and found it in Ruben Sobrino. 08.34 GMT: Sorry Arsenal fans, Ivan Perisic is likely to stay with Inter Milan after being "misled" by reported interest from the Gunners, according to his coach Luciano Spalletti. "Ivan had the personality to say something which would have seemed right to him at the time, probably he was a bit misled," Spalletti said at a news conference in which he confirmed that the Croatian is the "only player" in his squad to have requested a transfer. "He had difficulty making up his mind because something was put to him which was just as big [as staying here] and it led him into temptation, and these are things that happen. But already today, he was much different to yesterday." 08.23 GMT: La Liga president Javier Tebas has expressed his desire for Paris Saint-Germain stars Kylian Mbappe and Neymar to play in La Liga and has hinted that Real Madrid could make a top summer signing. Real Madrid paid a reported €15m to acquire Manchester City's Brahim Diaz, their only reinforcement in the winter transfer window. Mbappe and Neymar have been linked with Real Madrid in recent seasons. "I hope [Kylian] Mbappe and Neymar can play in La Liga," Tebas told Europa Press. "They are two players that can only go to big clubs and it could be that there is one that is keeping the money and can bring a top star. I think something important can happen this summer." 08.15 GMT: La Voz de Galicia report that Celta Vigo striker Maxi Gomez has decided not to leave the struggling club in this transfer window. It will almost certainly not happen in this window but fans will be surprised to learn that Real Madrid are considering a £100 million bid for Manchester United striker Marcus Rashford, The Sun reports. The England and United star has been reluctant to sign a new contract as of yet, with his existing deal running until 2020 and the club having the option of extending it by a further year. The Red Devils are ready to increase his £60,000-a-week wage up to around the £200,000 mark but the 21-year-old is still keen to hold off. 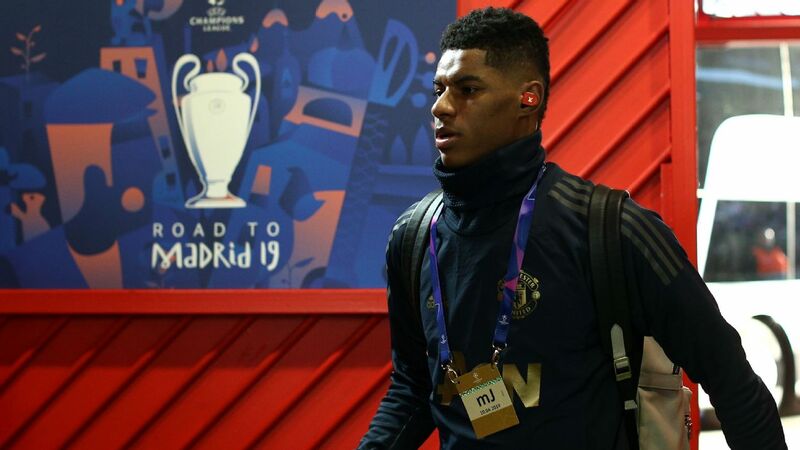 This has alerted the attention of La Liga giant and The Sun claim the reigning Champions League holders have already been in contact with Rashford's representatives. His agent may have come out and stated he will not be leaving in January but Tuttosport insist AC Milan are still keen to sign Arsenal transfer target Yannick Carrasco in this window. Carrasco joined Chinese side Dalian Yifang in the summer from Atletico Madrid but the Gunners and Milan had been keen to secure his services on loan. The Belgium international's agent Federico Pastorello told Sky Sport Italia on Wednesday the Chinese club had officially taken the 25-year-old off the market. However, the back pages of Tuttosport and Corriere dello Sport both claim AC Milan have not given up on landing their man before Thursday's deadline. The heartbreaking disappearance of Emiliano Sala means Cardiff City are back in the market for a new striker and have set their sights on Spurs unwanted frontman Vincent Janssen, according to The Sun. The 24-year-old was signed for £17m by Spurs in the summer of 2016 but after just six goals in 38 outings in his first season at the club, he has only featured for one minute for the first team since May 2017. Last season the Dutch international was loaned out to Fenerbache and after an injury-hampered spell in Turkey, he returned to the club this summer only to find himself ostracised from the first team. Real Betis have expressed an interest in a six-month loan move, with a view to a permanent transfer, but now Neil Warnock has set his sights on the former AZ Alkmaar man. Looks as though one of Arsenal's brightest stars is following the recent trend of English talent moving to Germany, although this deal is only a six-month loan. The 18-year-old midfielder is one of England's biggestt prospects and the Gunners will not want him to depart permanently. 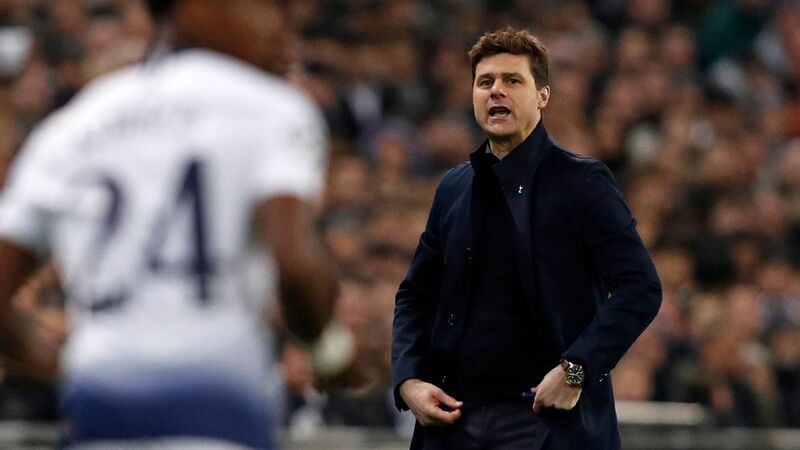 This is one which looked imminent on Wednesday afternoon but that FW rating could be set to plummet as late-night reports in France suggest Monaco may be about to pull the plug on the deal for the Borussia Dortmund midfielder after closing in on Spurs' Georges-Kevin N'Koudou. They missed out on him in the summer when he opted to join Nantes instead but now it looks like Newcastle may get their man. The winger, who can also play up front, is expected to join on loan until the end of the season, with a view to a permanent switch. Real are set to test the resilience of Juventus with a bid for Portugal full-back Joao Cancelo, if reports are to be believed. The 24-year-old is rated at around £60m and has starred at Juventus this season after his switch from Valencia. With Alvaro Morata already departed, it seems highly unlikely Chelsea would allow Giroud to leave but that hasn't stopped West Ham from enquiring about the World Cup winner. The 32-year-old finds himself behind Gonzalo Higuain but is still a valued member of the Blues squad.